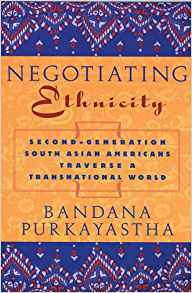 Bandana Purkayastha is Professor of Sociology & Asian American Studies, University of Connecticut, USA. She has published over sixty books, peer-reviewed articles, and chapters on intersectionality, migration, transnationalism, violence, peace, religion, and human rights. She recently completed a Fulbright-Nehru fellowship to India (on Water, Inequalities, Rights), has been recognized for her research and teaching through multiple national awards, including a 2016 American Sociological Association (ASA) section’s career award. She has served in many elected, invited, and appointed positions including, President, Sociologists for Women in Society; ASA representative to ISA; expert consultant to WHO (on female migrants and health).